With Readly you can read Real Crime Book Of Serial Killers and thousands of other magazines on your tablet and smartphone. Get access to all with just one subscription. New releases and back issues – all included. As depraved as it is fascinating, the murky world of the serial killer has captivated us for centuries. 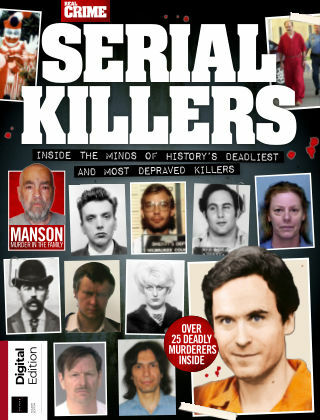 Packed with interviews with the killers, crime scene photos, case histories, court testimonies and much more, the world’s most notorious murderers are featured within these pages, from American psychos such as Ted Bundy and Edmund Kemper to British butchers including Peter Sutcliffe and Fred West. On top of that, you’ll discover the shocking battle to become Russia’s most prolific killer and the German monster who terrorised a community for years. 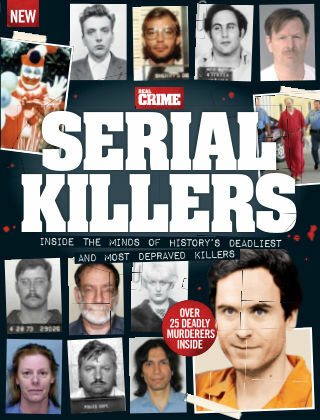 So if you’re ready, let’s take a look inside the minds of the world’s deadliest serial killers… Featuring: The world's sickest serial killers - Inside the minds of these deadly men and women. American pyschos - From Ted Bundy and Gary Ridgway to Aileen Wuornos and John Wayne Gacy. British butchers - Discover the stories of the UK's deadliest killers. In-depth insights - Interviews with the killers, crime scene photos, detailed illustrations and more.